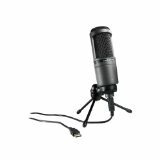 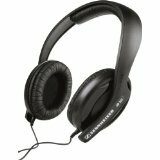 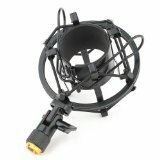 Designed for studio use and other professional vocal recording environments. 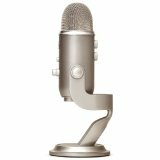 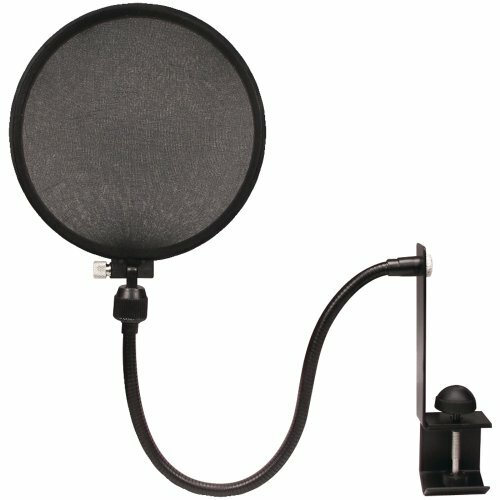 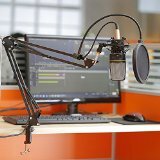 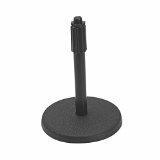 Microphone pop filter with boom and stand clamp. The extremely popular Nady MPF-6 Pop Filter is an anti-pop noise protection filter for microphones. 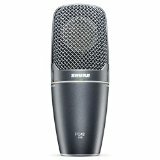 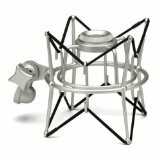 Designed for studio use and other professional vocal recording environments, the MPF-6 eliminates "popping" sounds caused by the impact of fast moving air on the microphone during recorded speech and singing. 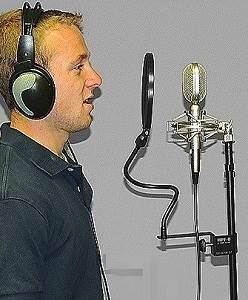 It also helps protect against the accumulation of saliva on the microphone element. 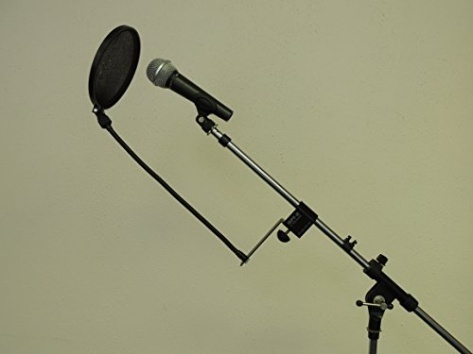 The MPF-6 unit includes a boom/mic stand clamp. 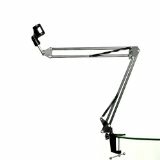 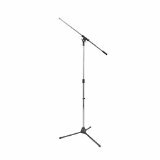 It also features a flexible gooseneck holder and a swivel mount for easy positioning.